No one should be allowed to occupy the trunk of the vehicle at any time. If the trunk is partially or totally latched and the person is unable to get out, severe injury or death could occur due to lack of ventilation, exhaust fumes and rapid heat build-up, or because of exposure to cold weather conditions. 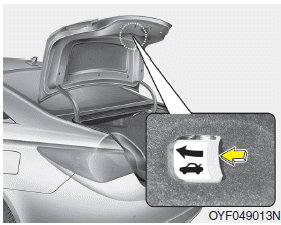 The trunk is also a highly dangerous location in the event of a crash because it is not a protected occupant space but merely a part of the vehicle’s crush zone.